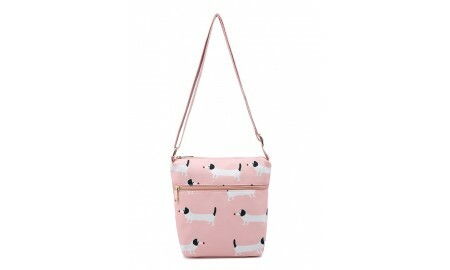 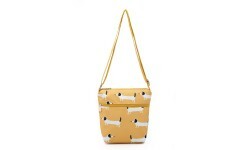 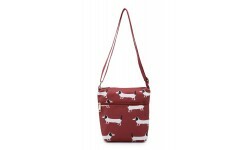 A fashionable canvas style bag from Navy Inc in pale pink with a Dachshund pattern. Comes with an adjustable, across body strap. Has two outside, side zip pockets (one on each side). 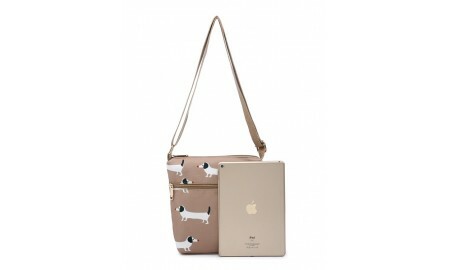 The main compartment is zip fastened and inside there are two pouch pockets on one side and a zip pocket on the other. 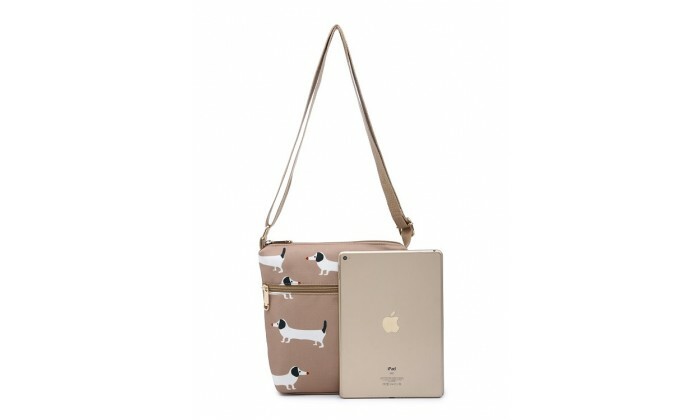 Reverse side, iPad and inside photos taken of beige version.